Our run-down of the best apps of 2009 continues. Today it&apos;s the turn of the useful apps – the ones designed to make our lives that little bit easier. Are you a big fan of Spotify, but you’d like it to be more… illegal? Fizy is for you. It’s a super-quick website that’ll let you search for songs and music videos. I’m not kidding about super-quick, we’re talking ‘faster than searching your MP3 folder’ quick, on par with the aforementioned Spotify. That’s not the only similarity. It’s got a very clean interface with minimal features and you can easily share tracks with other people. It claims to have more than 75 billion MP3s in its index, and you can expand or remove any videos involved. Very impressive, and very useful for ‘do you know that song?’ moments. Not exactly a media player, though, as there’s no playlist functionality. I quite like that, though. That’s what I’ve got Spotify for. Just when you think you’ve seen every kind of USB memory stick in the world, another one comes along. This one dispenses post-it notes. 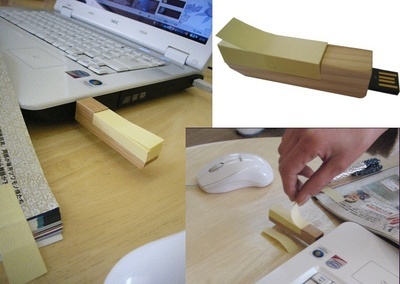 Very handy, if you use post-it notes, which unfortunately I don’t. It’s got two gigabytes of memory built in, with an unspecified number of post-it notes. Not sure how easy they’d be to ‘refill’ either, though I suppose you could just chop a normal pad into strips and stick the bottom one on with glue. Of course it suffers from the same problem as every other USB stick – if you knock it by accident, then you’ve got a very good chance of damaging the port or the stick. .tel – the domain name service that I got all excited about back in October, launches to the public today. To briefly recap, it’s a global contact database that stores contact info in the DNS. For a much more detailed explanation, check the earlier post. Today, the services becomes available to the public. I could buy duncangeere.tel. I could probably wait a while though – because it’s not exactly a common name. If you’re John White, though, I’d get moving. Right now. Here. Go. Teamviewer did a fantastic job this morning when I used to it to help my Dad troubleshoot a network issue. Despite him living in a remote village in eastern France, I was able to quickly and securely view his desktop. If I’d wanted to, I’d have been able to conduct a presentation, transfer a file, or join a VPN. All he needed to do was install a small program, and give me a userID and password. Seriously – if my Dad could manage it, then it can’t have been tricky. It’s free for non-commercial use, and very functional. I can’t recommend it enough. Now all you need to know is how to actually fix the damn thing. For that, I recommend this guide from Lifehacker. Good luck, and don’t forget to set their homepage to Tech Digest when you’re done. 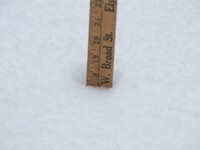 Four inches? Five? Twelve? I’m talking about the snow, you filthy individual. You might have noticed the white stuff accumulating outside at an alarming rate today – at the time of writing it’s still coming down in North London – and you’re probably starting to worry if it’s ever going to stop. I can assure you, it will. As for when – well, it’ll probably be sunnier tomorrow, but then go back to sleety snow for the majority of the week. But you want more detail, right? Right. Well, here’s my top five places where you can track this week’s snowfall online in-depth. Click over the jump to begin. 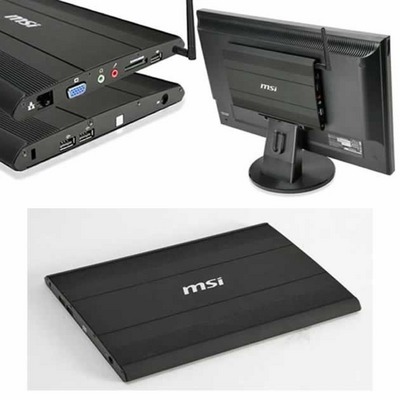 The MSI Windbox isn’t a playground name for part of your anatomy, it’s a nettop – one of those curious machines that is to the desktop what the netbook is to the notebook. The idea, and it’s a good one, is that it’s mounted to the back of your monitor using the VESA mount. The specs aren’t whopping – an Atom CPU, capacity for 1GB of RAM, VGA-out, 3 USB ports, a card reader, Ethernet and Wi-Fi, and space for a 2.5″ hard drive. You’ll need to add your own RAM and storage to the proceedings, as well as an operating system of some sort. It’s rumoured to cost $250, which is £182 or so in real money. If you work in an office, then how does the music work? Is it a tinny radio in the corner blaring out Radio 1? If so, I feel sorry for you, and I suggest you take control. We moved offices over Christmas, and switched from a benevolent musical dictatorship run by Stuart from My Chemical Toilet to a much more democratic approach using communal playlists in Spotify. It’s very simple, and all you’ll need is some speakers, as well as someone volunteering to take charge. Click through to the post to find out how. SHINY VIDEO: Quad vs Dual – how many cores do you really need? Just before Christmas, Dan and I took delivery of a dual core and a quad core machine, and we thought we’d see if it’s actually worth putting four cores into your computer, rather than two. We ran four processor-intensive concurrent tasks – a virusscan, a DVD encode, a 3D game, and then we measured how long it took to unzip a zip file. The results? Well, you’ll have to watch the video to find out. I’ll just say that I was surprised by the outcome. Let us know your experiences of Quad core vs Dual core chips in the comments below.